Traditional Japanese style, blended with modern taste, forms the backbone of its environmental design as an aesthetic representation of “wa,” or Japanese taste, as viewed from a global perspective. 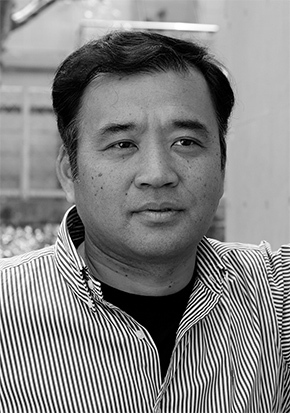 PHIL Design’s major works include: spatial design of restaurants such as Tsukiji Sushiko, Tsuki no Shizuku, Banya and Kitaohji and design of renovations at hotels and long-established ryokan or Japanese-style inns such as Atami Sekitei and Hotel Musashibo in Hiraizumi. More recently, Mukasa has dedicated his efforts to advertising the appeal of Japanese culture to a wider audience by participating as an environmental designer in overseas projects such as Sushi Kappou KITAOHJI in Bangkok, Thailand and Taitung Hotel in Taiwan. Mukasa has received numerous awards including JCD Design Award, SDA Award, DSA Display Design Award and Spatial Design Award.